I hit a bit of a printable funk over the last few weeks. I knew I wanted to make something awesome for you but I just couldn’t think of something truly amazing. So I wrote a homeschool mom friend and asked her what they were working on. I needed to know what was needed and she said she really needed some additional options for the solar system. 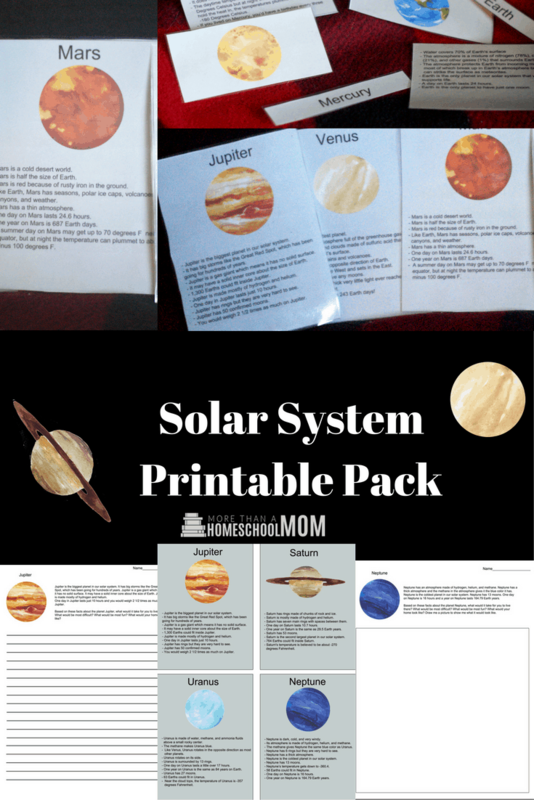 I decided it would be fun to put together a solar system printable pack and thanks to all the fun facts I found my kids will be doing a refresher on the solar system. Homeschooling is a crazy adventure! There are days with laughter and explosive emotions. There are days with frustration and exhaustion. There are even a few days where there is absolutely nothing because we just can’t even. (Those are generally read aloud days!) As a homeschool mom, I am surrounded by friends who chose homeschooling and friends who didn’t. When holding a conversation there are some things homeschool moms wish they could say. I decided I would write them here. 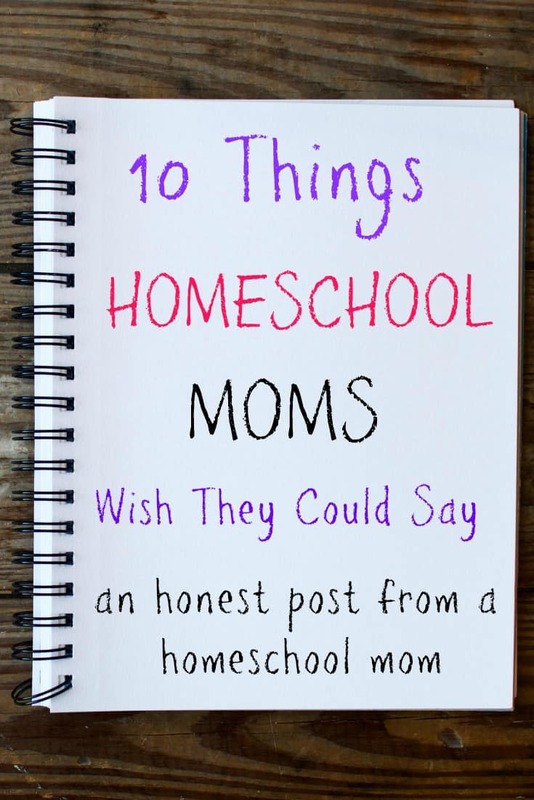 If this is something you think homeschoolers wish they could say, give it a share. While I know you are happily enjoying Summer, the school year is just around the corner. Many homeschool moms will spend the bulk of the next month working on lesson plans and figuring out what the coming year will look like. I wanted to take a few minutes and round up 10 homeschool lesson plan options and share what I typically do as well.